The worldwide leading innovator of audio, video, communications and IT products, Sony has announced the upcoming launch of its new updated, ultra-compact Sony VAIO P Series, which the company claims as its first laptop equipped with an integrated GPS, accelerometer sensor and Digital Compass. The new VAIO P full-featured notebook computer will incorporate Intel Atom CPU, SSD, and a number of one-touch buttons for instant access to the Web and more, based on Windows 7 operating system. 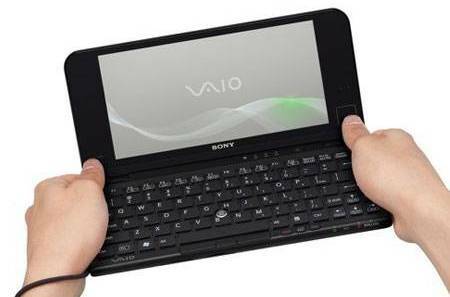 One of the most notable features of the new Sony VAIO P Series is an unique new mobile nav grip. A convenient optical trackpad (right) and mouse buttons (left) are built directly into either edge of the LCD bezel, giving users a creative way (two-handed operation) to navigate the web, just as what you see in the photo. 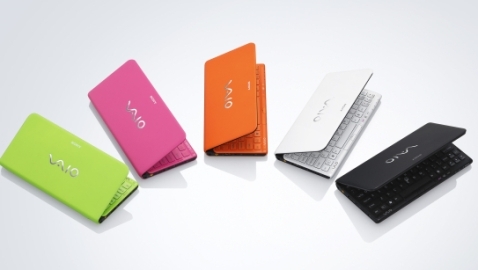 The new ultra-portable Sony VAIO P Series which measures 120 x 19.8 x 245 mm and weights just 1.4 lbs is tiny enough to fit into a bag or jacket pocket, slated to be available beginning next month – June 2010, with a starting price of $799.